Superannuation firm QSuper has reportedly signed a heads of agreement to secure a 17,200 sqm slice of a new commercial tower which is mooted for next to Brisbane Square. 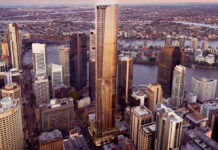 The Courier Mail reported that the State Public Sector Superannuation fund retracted from a previous heads of agreement on Shayher’s 300 George Street Brisbane Quarter development after Charter Hall offered an “unsolicited approach and compelling offer”. 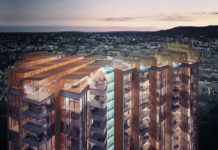 While a development application has not yet been lodged, it is understood that a new tower will be developed on land next to Charter Hall Group’s Brisbane Square tower. 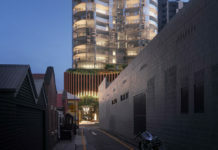 Reddacliff Place which holds food markets and events is not public land however it does not appear from preliminary renderings that the tower will encroach onto the square. 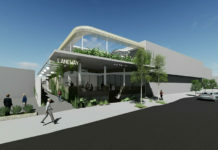 Renders also show a newly activated garden rooftop with vegetation above the Brisbane City Council library ‘boxes’. QSuper told the Courier Mail that a commercial-in-confidence process will now start to finalise terms and conditions of any future move, and is subject to the finalisation of development approval. QSuper chief financial officer Kulwant Singh-Pangly said should this deal go ahead, it will represent great value for QSuper members. “We are confident Brisbane Square 2 can deliver what we are seeking for the future of the fund,” he said. “Brisbane Square 2 will not only allow us to consolidate our operations but also offers a prime retail position for a new flagship Member Centre,” he said. A decision on the lease deal is expected by early 2018.